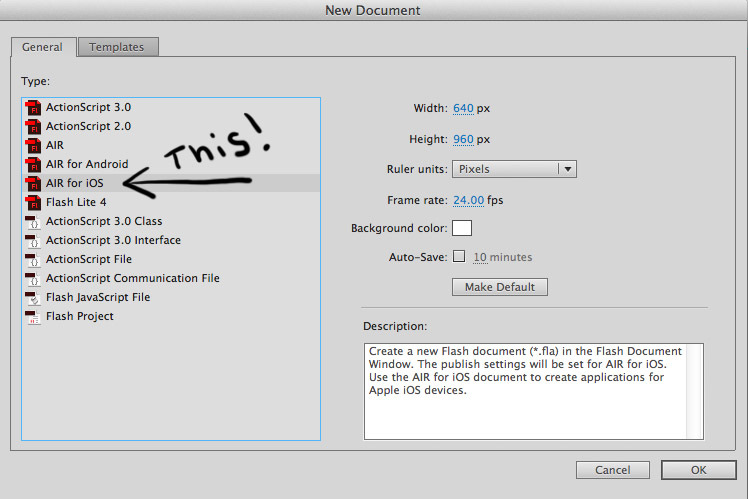 Following is a tutorial for walking you through all the things you need to set up, and start developing an Adobe AIR iOS app with Flash (on OS X). It’s a summary of my forays into the world of mobile Flash development. 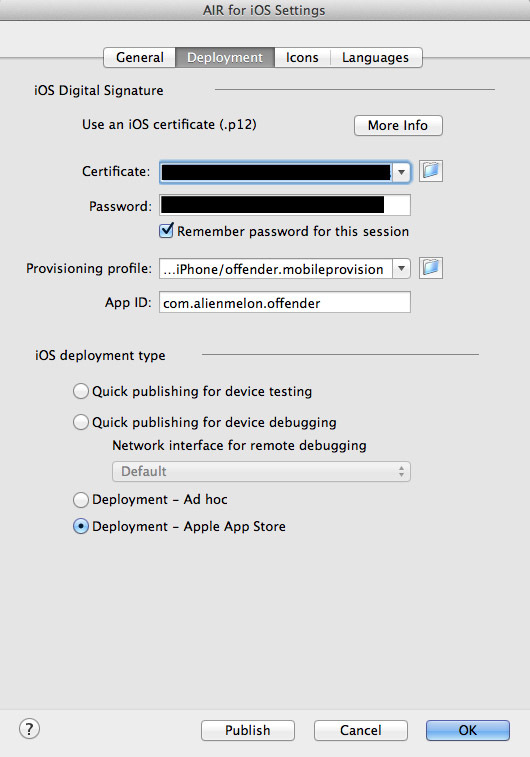 Screenshot of Offender on iOS. This is a resource that will take you through the development process of converting an .swf to .ipa (the file that will run on your iPad/iPhone), and some notes about submitting to the app store. I have tried other options such as Autodesk Scaleform Mobile – Autodesk Scaleform for Mobile iOS. For converting a .swf file to an app (putting it simple), it was not a functional/workable solution for me. I found their marketing to be very convoluted – not noticing that they don’t have sound support (out of the box) until I bought it, and started working with it. As far as I can tell, you have to buy your own FMOD license (contact FMOD for licensing, which is way too expensive). Alternatively you have to incorporate your own sound library. Aside from lack of sound support, the solution itself was a bit too buggy. Understandably their software is still very new, and they say that they are working on sound support for iOS. It seems to be going in an exciting direction, and is worth keeping an eye on despite its present shortcomings. Their Actionscript 2.0 support (which was one of the appealing factors) would be a noteworthy solution for porting legacy content to mobile devices. 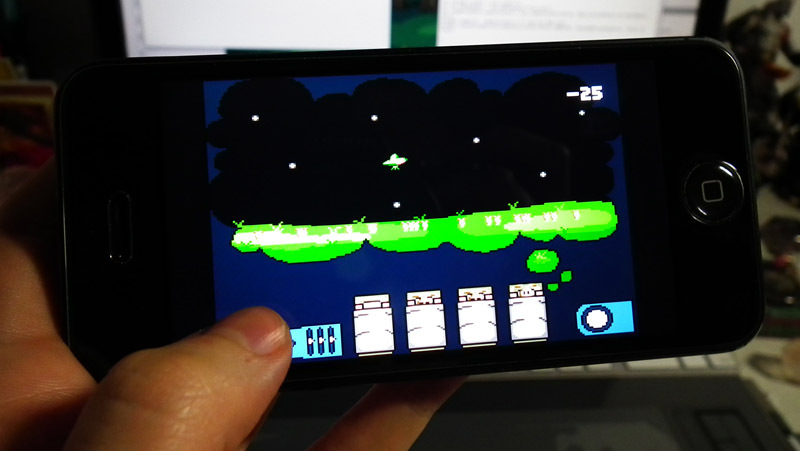 In the end it’s no-good it if you just want to put your Flash game on a mobile device, because you have to buy a separate license for Android (apparently that does have sound support), and another for iOS. Flash with Adobe AIR, can handle both. Flex/AIR for iOS Development Process Explained! A sample Actionscript Native Extension for iAds capabilities on iOS. Register, and then find your way to the iOS Provisioning Portal. Once in the iOS Provisioning Portal, familiarize yourself with it. The most important sections are “Certificates“, and “Provisioning“. They can also cause you the most issues. Creating an app takes place in two tiers. DEVELOPMENT, this if when you want to test and run your app on your phone. DISTRIBUTION, when you’re ready to submit the app. When you are ready for launch you have to create, and download a Distribution “Certificate”, and Distribution “Provisioning Profile” for the app. The same steps apply for that as in the Development stage. 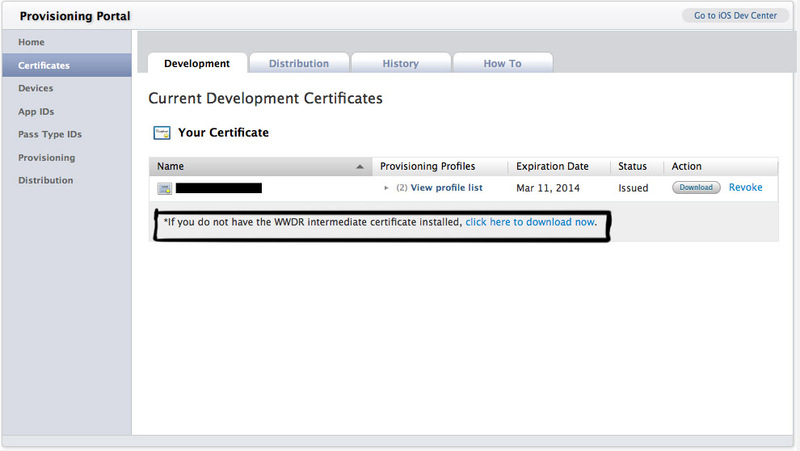 First, you will need to download, and install, the WWDR intermediate certificate. There’s an alert, and link to it, at the bottom of the “Your Certificate” list. *Open Keychain Access. It’s in Applications > Utilities. *From the menu select “Keychain Access” > “Certificate Assistant” > “Request a Certificate From a Certificate Authority”. *User Email Address – with your email address (same one as you used for your developer account). *Common Name – with your name. *CA Email Address – leave blank. *Request is – Saved to disk. Save the “CertificateSigningRequest.certSigningRequest” to a memorable location. *Return to the iOS Provisioning Portal in your browser. *Go to the “Certificates” section. *”Choose File” and upload your CertificateSigningRequest. Wait a moment and refresh the browser and your certificate should be available for download. *Download your new certificate. It will be a .cer file. *Open it, and it will automatically open in keychain access. 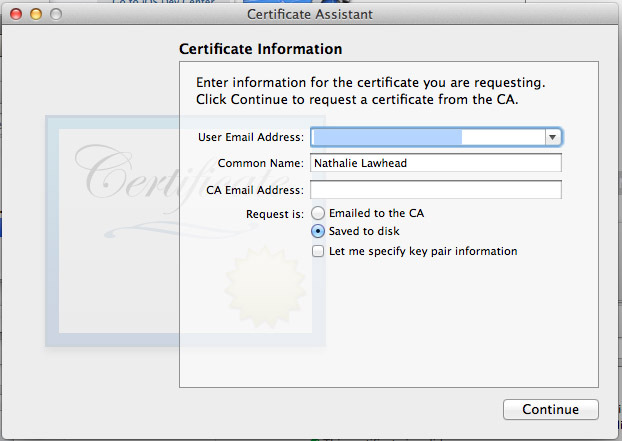 It should be under “Certificates”, and have a key icon underneath it with your name. It’s important that it has a key underneath it with your name. I got stuck a few times with it (the key) not being there. I haven’t figured out how to get that to work, except with a lot of clicking and re-adding. Good luck if that happens. *Select the certificate, and the key. *Give it a password that you will remember. It will create a .p12 file. This (as well as the selected password) is the file you will use for developing. You will need this. 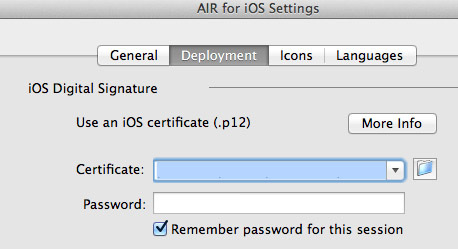 Flash will need this when selecting an iOS Digital Signature > Use an iOS certificate. You need to register your device (or your team’s devices) in the Provisioning Portal. Click the “Devices” tab. Fill out the necessary information — Enter your Device Name, and Device ID. Alternatively, make sure your phone is hooked up to your mac, and open Xcode and go to Window > Organizer. 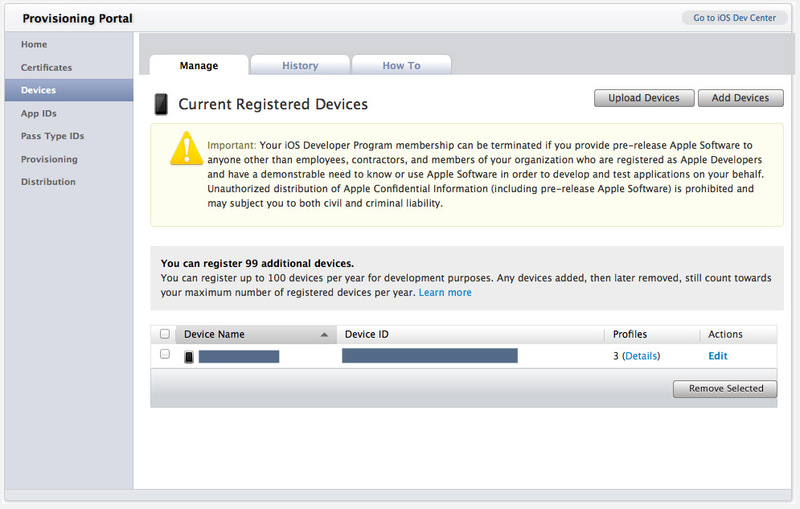 In the iOS Provisioning Portal add the device ID, and your Device Name, then Submit. It should show up under Devices now. You need these for your application. This is probably one of the easiest steps. *Select App IDs, and then “New App ID“. *Fill out all necessary information, and then “Submit”. After adding your device, you need to create a Provisioning Profile for your phone and application. There are a few types of Provisioning Profiles. Development Provisioning Profiles are (like Certificates) profiles for your phone so you can run, and test, the software you’re developing on your phone. Then there are Distribution Provisioning Profiles. These are “live” profiles for finished products (“live”, for a lack of a better term). This is what confused me at first, if you use these provisioning profiles with the software you’re building, and try to install the final build on your phone IT WILL FAIL. The only builds using Distribution Provisioning Profiles, that you can install on you device, are builds that have been built with the Ad Hoc Provisioning Profile. Builds for app store distribution will not run on your phone, ever, unless approved and installed through the store. They are specific to the store, and app store submission. If you use an Ad Hoc Provisioning Profile you will still need to add it/register/sync-it/etc with each phone that you intend to run it on (Use the “Organizer” for this). It’s very specific. *Select the Provisioning section, and then select “New Profile” in the Development Provisioning Profiles, or Distribution Provisioning Profiles tab. *Fill out all necessary information, and make sure you hook it to the right App ID & Devices it is to run on. *Your profile should become available for download in Provisioning. Once it is, “Download” it. It will give you a .mobileprovision file. As well as add it to your phone, so you can run the build. *Connect your iPhone to your Mac. *Select your phone in the “Devices” section. 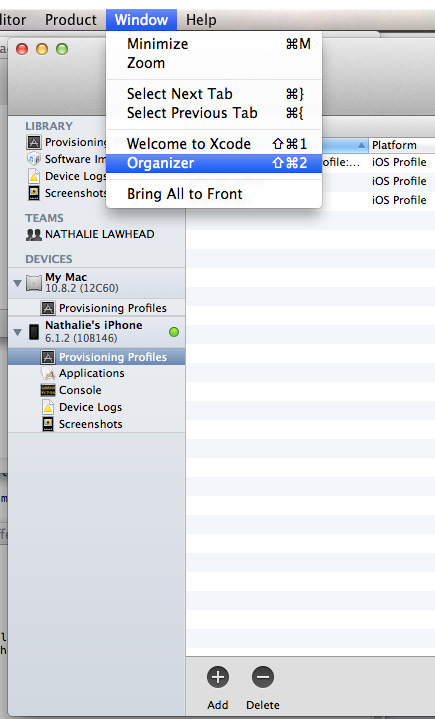 *Browse to the provisioning profile you downloaded from the iOS Provisioning Portal (the .mobileprovision file). Done! If you did it right, and if it’s a valid profile it should say “Valid profile” in the “Status” tab. Now that the worst is over with, open Flash! Start a new file and select AIR for iOS. 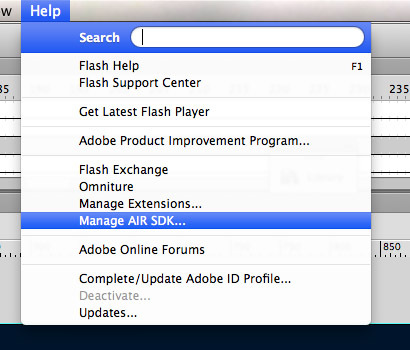 Side Note: You can always download the latest AIR SDK. If you did so you can add it to the Target Publish settings by selecting Help > Manage AIR SDK… and navigating to the newest version you just got. Link to tutorial here. Create your Flash file, and all it’s Flashy coded up contents. 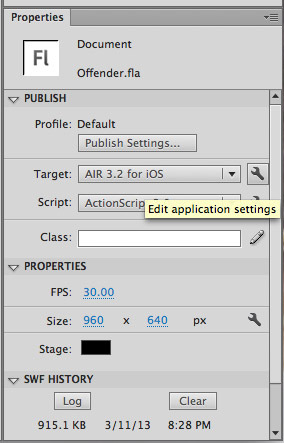 Once you’re ready to test it on your device click on “Edit Application Setings” next to the “Target: Air for iOS” in the Properties Panel. You will see the window that handles most necessary settings for exporting to an .ipa (the file that will eventually run on your device). Everything is pretty self explanatory. The “Include files” area are where you add all necessary dependable files your .swf needs. Note: The newest version of AIR (I think it’s still in beta) allows for external .swfs loaded into your main .swf to execute code. Up until now (before said beta) only the main .swf could execute code. Actionscript that is executing from an external .swf will be ignored. Default.png is the image that will display as your app’s boot up screen. Make it the same dimensions as your .fla, and keep the name “Default.png“. 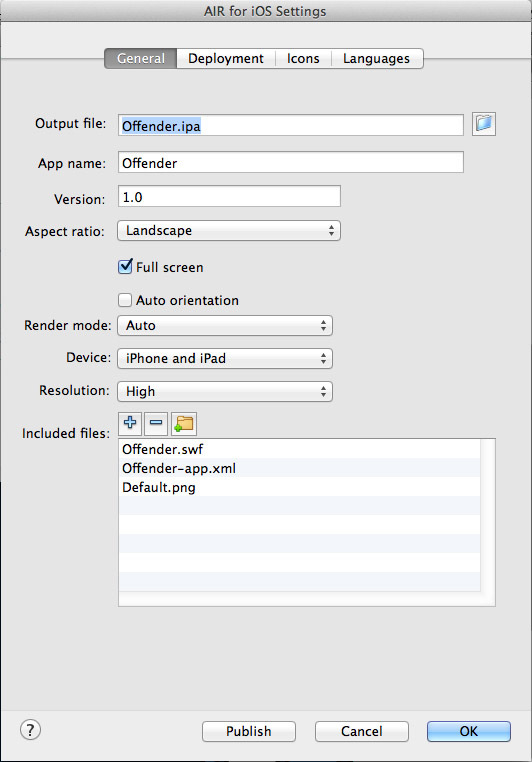 the YOURFILE-app.xml file contains your apps settings. You can customize a lot of it there. 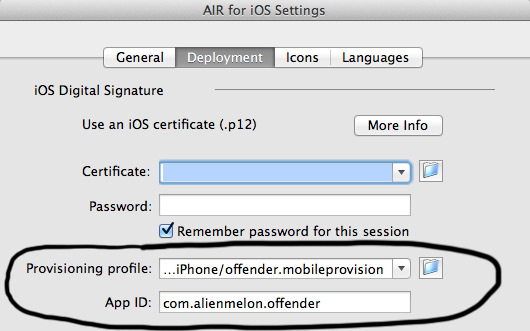 Visit the Adobe AIR * iOS Settings docs for more information. *Browse to, and select, your .p12 file (see the “Certificates” section of this tutorial on how to create it, or visit Converting a developer certificate into a P12 file ). *Enter the .p12 file’s password. *Browse to, and select, your Provisioning profile (.mobileprovision file). *In iOS deployment type, select your desired deployment. 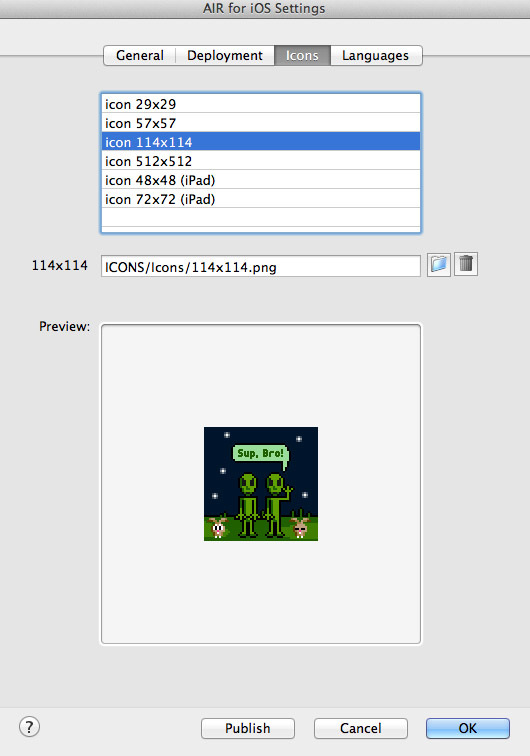 Create icons following the instructed dimensions, and browse to them for each icon selection. And that’s it! Hit “Publish”. It will output an .ipa file. Sync that to your phone with iTunes. Submitting to the App Store! You will need to start an account with iTunes Connect. If you want to sell applications, you need to sign up with their iOS Developer Program. It will cost you $99 a year. Add an app by going to “Manage Your Applications” in your iTunes Connect account. The submission process is pretty straight forward, and they have a good help video on it (navigation at the bottom of the screen). *A description of the app you are adding, detailing features and functionality. Descriptions cannot be longer than 4000 characters. Large App Icon: A large version of your app icon that will be used on the App Store. It must be at least 72 DPI, in the RGB color space, and 1024 x 1024 pixels (it cannot be scaled up). The file type must be .jpeg, .jpg, .tif, .tiff, or .png. It must be flat artwork without rounded corners. 3.5-Inch Retina Display Screenshots: Screenshots for 3.5-inch iPhone and iPod touch Retina display must be 960×640, 960×600, 640×960 or 640×920 pixels, at least 72 DPI, in the RGB color space, and in the JPG or PNG format. 4-Inch Retina Display Screenshots: Screenshots for 4-inch iPhone 5 and iPod touch (5th generation) Retina display must be 1136×640, 1136×600, 640×1136 or 640×1096 pixels, at least 72 DPI, in the RGB color space, and in the JPG or PNG format. iPad Screenshots iPad Screenshots: must be .jpeg, .jpg, .tif, .tiff, or .png file that is 1024×768, 1024×748, 768×1024, 768×1004, 2048×1536, 2048×1496, 1536×2048 or 1536×2008 pixels, at least 72 DPI, and in the RGB color space. 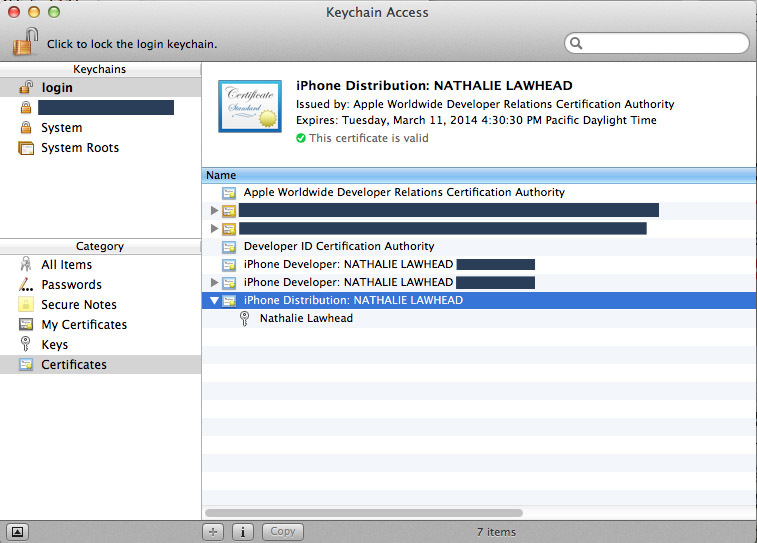 Note: You can take screenshots of your app, as displayed on your mobile device, in Xcode’s Organizer. First connect your device, then go to Window > Organizer. Select your connected device in the Devices area to the left, and go to Screenshots. Hit New Screenshot, and voila! 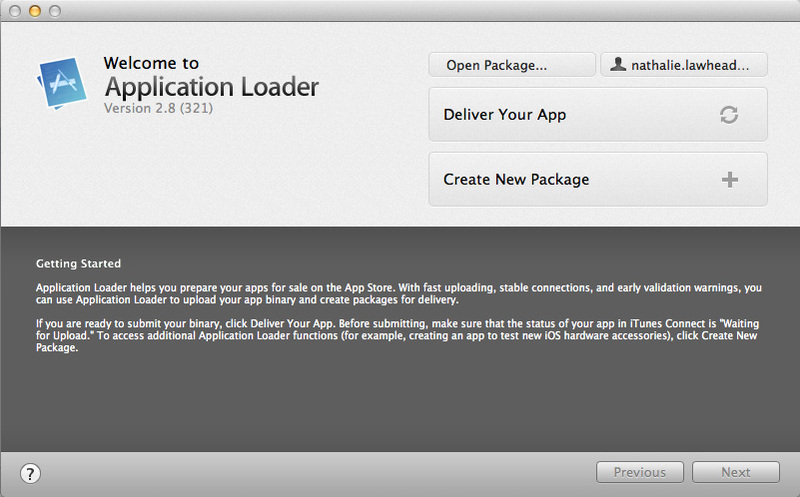 Once you have everything set up, and your application status is “Waiting For Upload”, you upload your App to iTunes Connect with the Application Loader. This is part of XCode. And that’s about it. Good luck with the approval process! Hopefully this tutorial was helpful. I wish i had seen this a year ago… Excelent recopilation and explanation!!! gracias muchisimas! i will be dealing with the application verification error that keeps poping up although i was all happy about the cert. finally showing valid and then the provisioning profile turning out right … and same error… dude these people are mean! The entire process is a headache wrapped in slews of legal documents, but once you have it down it gets easier. ALSO, the approval process can be difficult to get through. It will take up to 6 days, and they can reject your app for various/any reason (depends on who tests it, really). I have not yet discovered a clear pattern with that. Good luck! ALSO keep backups of ALL your certificates. If you lose those you can have trouble with pushing updates/uploading new versions. In my opinion, Google Play is far easier. The only thing you really need to be careful of is to keep your certificate (the one you used to “sign” the game with), because if you lose it you can’t push updates. Each platform is different, and has their own upsides and downsides… It’s crazy. Hi, this is a problem with your size of the stage not matching the display’s size. There are a few ways around this. and setting placement/scaling via actionscript (stage.stageWidth or stageHeight on specific elements x and y properties or width/height…). EXACT_FIT Specifies that the entire application be visible in the specified area without trying to preserve the original aspect ratio. It will scale it. It might not be what you want but it’s the fastest workaround.